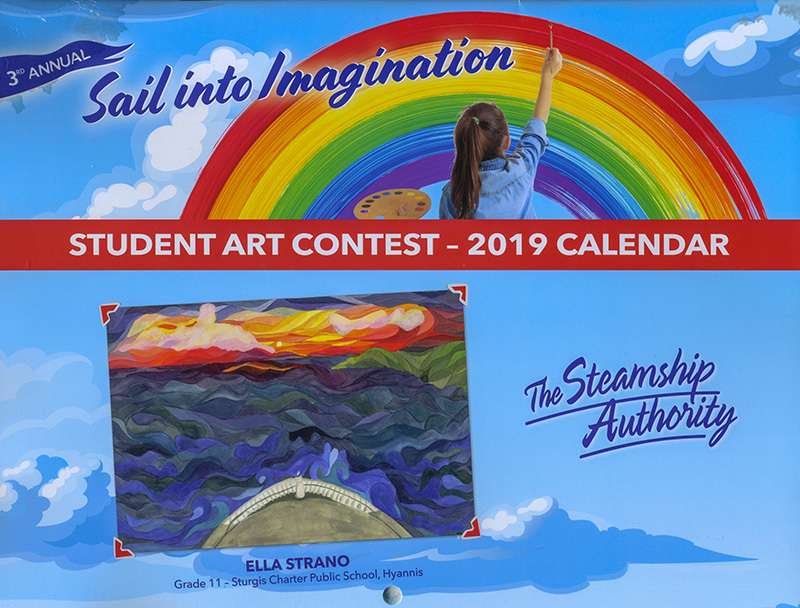 The Steamship Authority is now accepting student art submissions for its 2020 calendar contest. The Steamship Authority has opened a 2019 “Sail into Imagination” contest for student art. 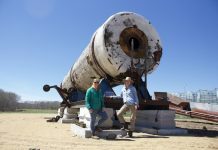 The 13 winners selected will be featured in a 2020 Steamship Authority calendar. 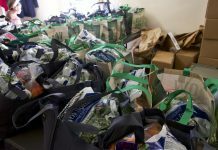 The contest is open to students from kindergarten to the 12th grade living on Martha’s Vineyard and Nantucket or in Barnstable, New Bedford, Falmouth, or Fairhaven. Students are encouraged to “share their vision of traveling abroad SSA ferries and to inspire artistic interpretations of growing up by the sea,” according to a release. All students who enter with their original artwork within the correct time period will be entered into a drawing for a three-park combo pass to Cape Cod Inflatable Park in Yarmouth. The pass is good for a family of four. In addition to being featured in the calendar, “all 13 winners will be awarded a $100 gift card for passenger travel aboard a SSA ferry, and will receive an invitation to attend the official art unveiling reception hosted by the SSA this July,” the release states. I will go out on a limb and guess “Sail into Imagination”, after considering how to, “share their vision of traveling abroad SSA ferries and to inspire artistic interpretations of growing up by the sea,” will yield drawings from our lovable darlings, where they most “imagine” our ferry boats to be, in a Senesco Marine drydock cradle.